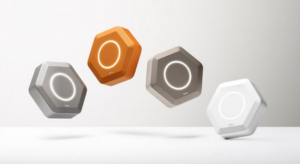 Luma, an Atlanta-based company that makes a sleek router with a wide variety of bells and whistles, has tacked on $7 million in funding to its coffers from Andreessen Horowitz and GV. The funding comes fast on the heels of a $12.5 million Series A round that was co-led in April by Accel Partners and Amazon and included participation from Felicis Ventures. Seemingly, investors are trying to get a stake in the company before the router wars begin to heat up further. “Unlike a smart thermostat, a wireless router isn’t option; it’s something that everyone needs,” notes Luma cofounder Paul Judge. Customers want something that’s more sophisticated than the routers of yesteryear, too, given how much more advanced tech has grown in other aspects of their lives. “The consumer network and IT at home has just been broken, and there isn’t a device or product that people are excited about to be the backbone of the connected home,” Judge says. Established companies like Asus, D-Link, and Netgear definitely get it. In recent years, they’ve begun layering in features like parental controls and the ability to prioritize traffic based on network and device. But they face fresh entrants that are going after a piece of the market with their own next-generation features. And no wonder: Roughly 170 million wireless routers are purchased each year.